Call number: 668.4 JPI Ref. 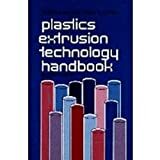 Edition: 19th-29th ed.Material type: Book; Format: print Publisher: Tokyo : Plastics Age. Co., Ltd, 1976Availability: Items available for reference: [Call number: 668.4 JPI Ref.] (11).